Use the color green to fill in each of the shapes that has a verb in it, and use any color you like to fill in the rest of the shapes! Once all of the shapes are filled in, a picture of beautiful trees will be revealed. 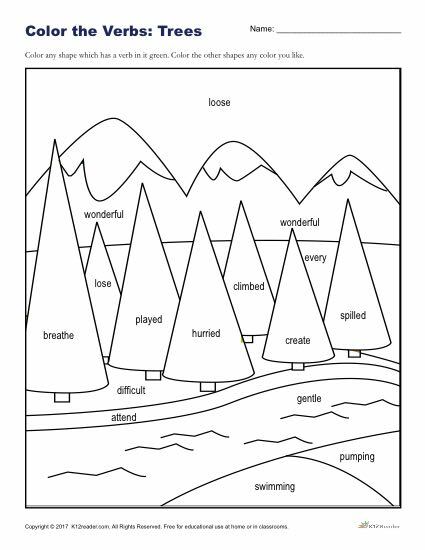 With this printable classroom activity, learning about verbs will be lots of fun! This verb worksheet is great for use both at home and in the classroom. Ideal for grades K-2, but can be used where appropriate.